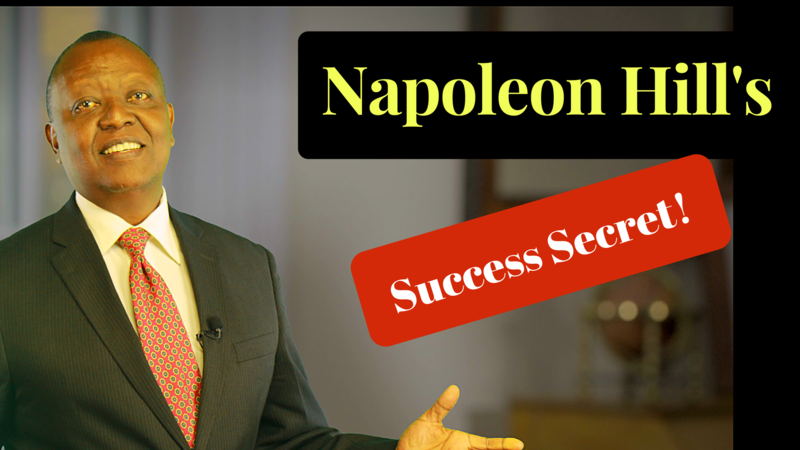 Napoleon Hill is one of the most outstanding pioneers of the personal development industry. He turned more people into millionaires over his lifetime than anyone who came before him…even more than Andrew Carnegie. Napoleon Hill wrote the book, ‘Think and Grow Rich’ which even today, over eighty years since it was published, still influences the minds of people all around the world. In fact, most of today’s personal development gurus, including Tony Robbins and Deepak Chopra base their philosophy on his work. Today, we look a very important success principle that helped Napoleon Hill, Njenga Karume, Manu Chandaria and many others become so tremendously and outrageously successful. Please CLICK HERE to watch on You Tube. Billionaires Njenga Karume and Manu Chandaria understood a success principle that most people don’t. Most people say they want financial freedom…a nicer home, another car, to travel more, to be able to decide what we do with our time. We see Njenga Karume’s properties and comment, ‘I want that too.’ But Njenga Karume would have been quick to tell you about all the years of hard work and sacrifice he put in which made that property his. And it took Napoleon Hill just 3 seconds to tell Andrew Carnegie he was willing to work the next 20 years for him without any sort of pay or compensation in order to succeed. So in light of what these two great men Napoleon Hill and Andrew Carnegie accomplished, answer this for me: “What are YOU willing to pay for your financial freedom?” What are YOU willing to DO in order to have the things you’ve always wanted in your life? And also, what price are you going to pay if you DON’T do what it takes! People who have little can feel the pain of their circumstances and are more likely to do something to make a change in their lives. This is because we all naturally move toward pleasure and away from pain. Their challenge of course is that they have to learn a whole new way of doing things. Please CLICK HERE to watch on You Tube. Those who have a lot and still strive to reach higher goals usually have some of the success principles already at work in their lives and what they need are new strategies and paradigms. So, where do YOU fit in here? Are you struggling to make ends meet? Are you saddled down with a mortgage and other types of debt? Or are you somewhere in the middle…where you have some, just enough to keep you moving on the hamster wheel of life each day? I see it every day in my financial coaching practice – 9 out of 10 people tell me they’re 110% committed to doing what it takes to succeed. You know what? All, except maybe 1 or 2 of those 9 people are simply talking and are not ready to actually roll up their sleeves and scrape their knuckles getting the work done. I’m telling you this: You have to choose financial freedom and then be willing to do what it takes to make it happen. You cannot hope for it. You cannot wish it into existence. And you cannot gain it from outside yourself. We don’t all have to be Njenga Karumes and Manu Chandarias. But take the wisdom from their achievements and make it your own. Please CLICK HERE to watch on You Tube. Clarify your direction; You cannot go in all directions at the same time. You must be clear in exactly what you want to achieve and then focus on it. It is really important to have a deep motivation for you chosen field, and just making money is not sufficient reason. For example, I dedicate my life and energy to helping people improve their personal financial management so that they can live a better life. I am passionate about my work and my biggest reward is when I hear success stories from my students and coaching clients. The money is just a bonus. Upgrade skills; In order to succeed, you have to be the best in what you do and for this there is no short cut. You must dedicate your time and energy to improving your skills through reading, watching videos, attending training and exposing yourself to the highest possible quality information in your field. Optimize your environment; where you work, the tools you use in your work, with whom you work, where you live, the support you get from people who are significant in your life, who your friends are, where you socialize. The state of your health and physical fitness. All these, and, more have an impact on the quality of your output and therefore the success level you are capable of attaining. Master your psychology; Take the top ten athletes in any sport and it will be difficult to discern any difference in their physical capabilities. Yet in competition, only one will emerge the winner. The difference in the mental status – their belief in themselves, and their ability to bring all their physical resources to bear when it counts. Master your inner game and your efforts will bear fruits. Take a small step every day and set personal development goals in these areas. Remember wishful thinking will get you nowhere, you must commit yourself to taking action and do it consistently. Even if it takes you twenty years, giving up is not an option. Get up 20 minutes earlier each day to work on your vision or work out your muscles. Cut down those mind numbing Facebook sessions and TV shows and get working on your future. Reduce those drinking nights out (and the accompanying hangover the next day!) and you will have more money and a clearer mind for your venture. Remember, even if you are forty, fifty or even seventy years old, it is never too late! Choose It. Commit To It. Make It Happen! Like Napoleon Hill said – Think, and Grow Rich! Please CLICK HERE to watch on You Tube.